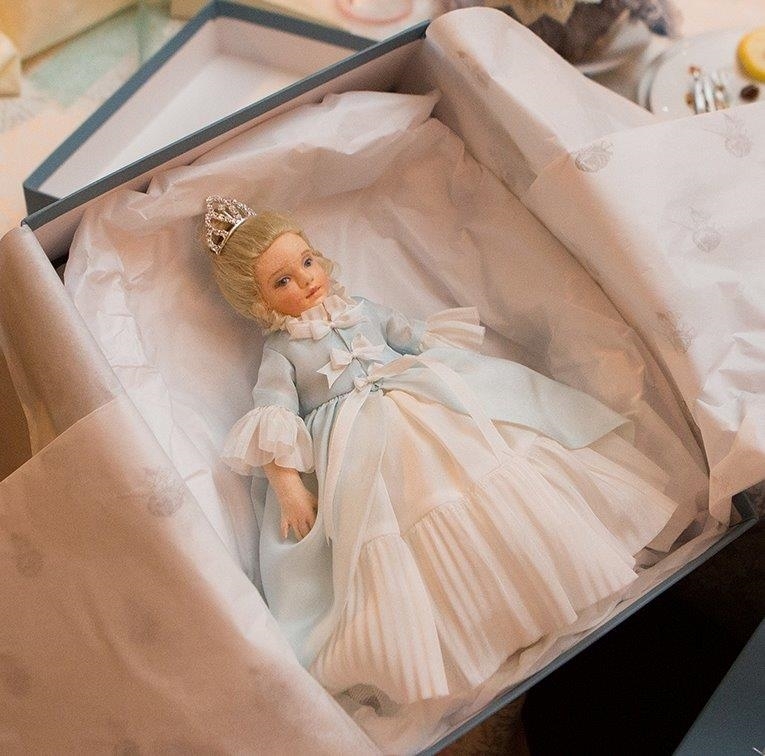 We are pleased to present Cinderella - the enchanting souvenir doll from the Once Upon A Time 2018 R. John Wright Convention which celebrated classic children's FAIRY TALES. Brought to life in the form of a lovely young girl, Cinderella is constructed of the finest all wool felt. She measures 9 inches tall and is fully jointed for posing. Her molded face includes delicately hand painted features. Her luscious blond mohair wig is deftly styled in a French twist and her lovely sculptural hands are sewn with individual fingers. Cinderella is produced in Bennington, Vermont in a worldwide limited edition of only 100 pieces.